Data science and deep learning become extremely active research areas in statistics and computer science. They bring both big opportunities and unprecedented challenges to traditional research exercises. 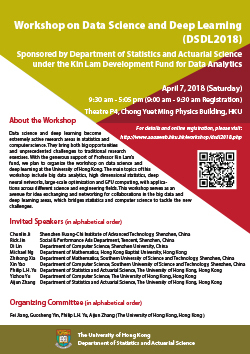 With the generous support of Professor Kin Lam’s fund, we plan to organize the workshop on data science and deep learning at the University of Hong Kong. The main topics of this workshop include big data analytics, high dimensional statistics, deep neural networks, large-scale optimization and GPU computing, with applications across different science and engineering fields. This workshop serves as an avenue for idea exchanging and networking for collaborations in the big data and deep learning areas, which bridges statistics and computer science to tackle the new challenges. The Organising Committee would like to extend deep gratitude to Professor Kin Lam for pledging to establish the Kin Lam Development Fund for Data Analytics. The Fund is to support staff development, simulate research and collaborative initiatives in the area of data analysis. Professor Lam is currently an Honorary Professor and also a long-time patron of the Department of Statistics and Actuarial Science, The University of Hong Kong. 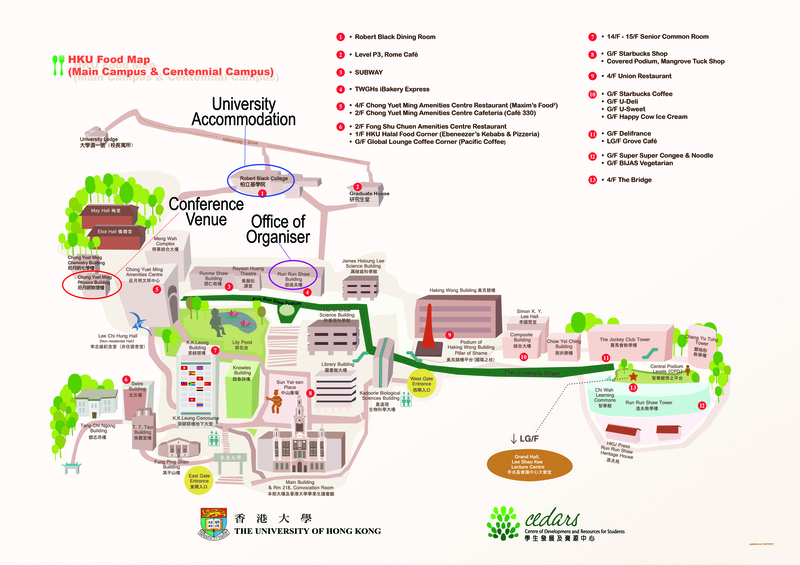 Please feel free to email enquiries to saas@hku.hk.